IIM Indore witnessed a graceful presence of a few CEOs of top industries on August 3, 2017. The CEOs namely, Mr. Ninad Karpe, Chairman, CII-Western Region and Director –Aptech Ltd.; Mr. Bhagwat Nagori, Director, Oswal Computers and Consultants Pvt Ltd and Mr. Parag Satpute, MD, Sandvik Asia Pvt. Ltd; interacted with the Student Activity Council (SAC) members and faculty members. They discussed on the topic—‘ CEO’s Expectation From Fresh Management Graduates’. ​Professor NMK Bhatta, Faculty, IIM Indore welcomed the guests. 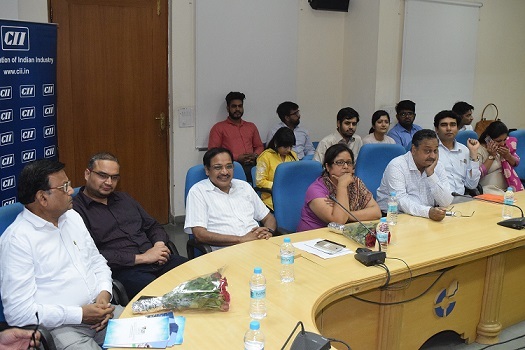 Professor Rajendra Nargundkar, Dean (Faculty) then familiarised the guests with the various programmes and the initiatives taken by the Institute to improve the curriculum and make it more contextually relevant. 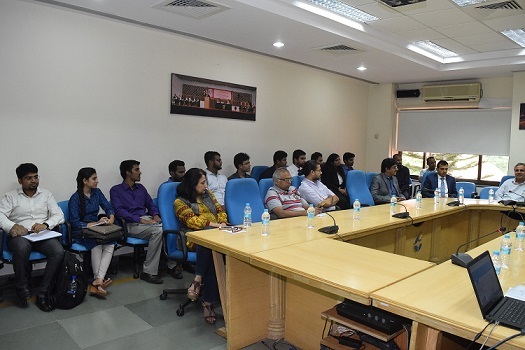 Discussing about what qualities the industries seek from the freshers while recruiting, the experts noted that soft-skills in a person get the highest weightage. Mr. Satpute said, ‘The difference between people who succeed quickly and the ones who struggle, is the ability to work in team and keep up the enthusiasm for entire group you are working with’. Mr. Nagori noted that there are various requirements which need to be fulfilled while working in a company and teamwork and collaboration are deeply rooted in the organization. ‘A student may score good in academics and interviews, but after joining any organization, he or she may turn out to be a mediocre due to lack of soft skills. It is important that you focus on how your entire project and team would be successful rather than trying for individual successes’, added Mr. Karpe. The experts suggested that group assignments is a fantastic way to develop collaborative and adaptability skills in the students during MBA as such assignments help them to work in different environment and understand the different working patterns. Mr. Karpe noted that people who tend to stay the longest with a certain company have the same values as the organization. ‘If there is a mismatch between the values of the employee and the company, the marriage between the two is a mismatch’, he said. Mr. Satpute added that since the world is changing drastically, the freshers should have the adaptability and be able to collaborate with the colleagues. 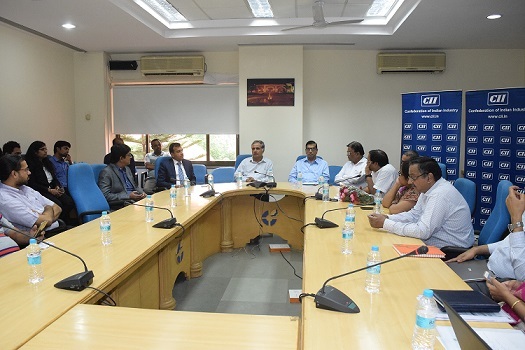 The session concluded with a Q&A and was attended by the students, faculty and staff of IIM Indore.